Amra Beganovich and Elma Beganovich are two sisters, who left their unexciting jobs as an economist and attorney and set out on an adventure to build Club Fashionista (at first) and now their own brand Amra and Elma. We have met Amra Beganovich, one interesting blogger from Sarajevo. She is in love with Dubrovnik since she was a little girl, and this is her story about this magnificent city and work. Did you expect to get so famous? I did not expect to become famous – for me writing blog posts was more about sharing my experiences. It was about providing inspiration and saying: “Look, we are not in this world alone. There are others that are feeling the same way.” It was also about providing inspiration – life sometimes can get gloomy, and we all need that motivation. We need to dream. 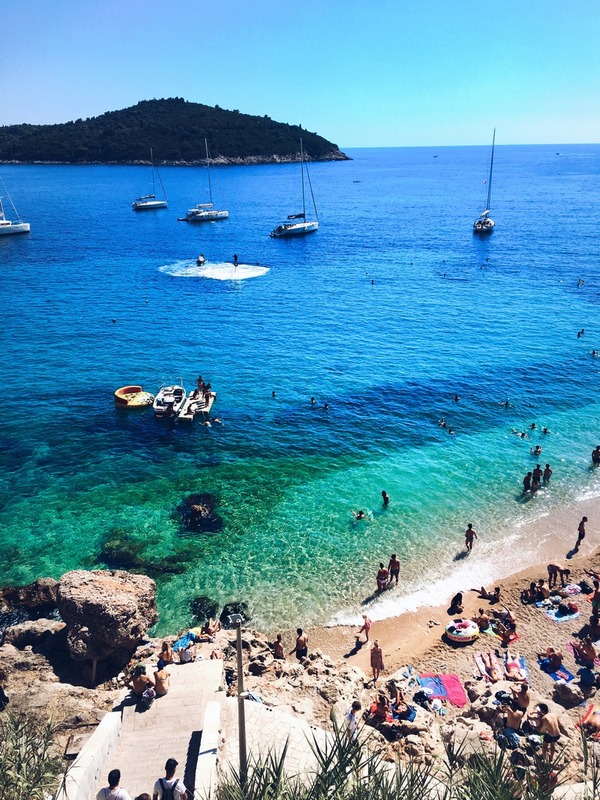 Why did you choose to travel to Dubrovnik? I love Dubrovnik and have been coming here since I was a little girl. I am originally from Sarajevo, and Dubrovnik is one of those places that feels almost like home – very close for my family and me to visit from Sarajevo. The tradition continued even after we moved to the United States – I currently live in New York City, but I visit Dubrovnik almost every summer. 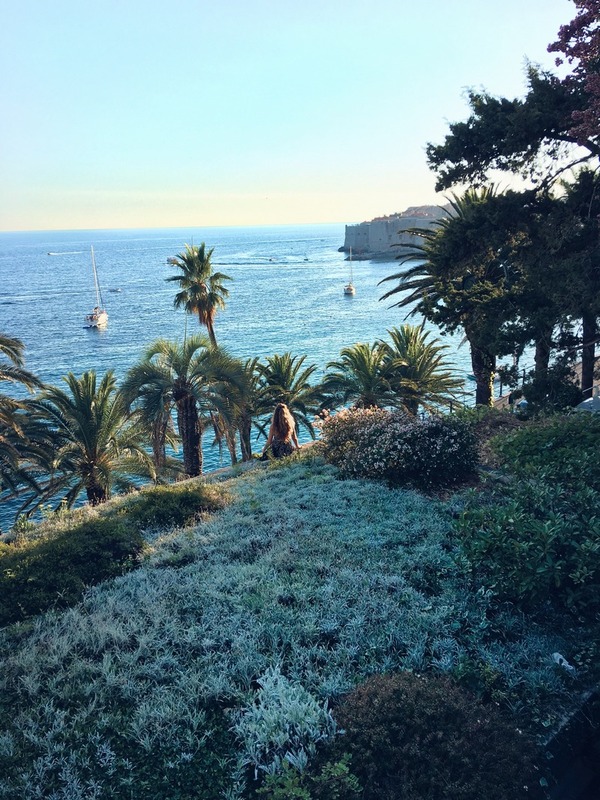 I have even gotten my audience hooked – my sister and I shared our trip with our 2.3 million social media followers, and they were all mesmerized by the beauty of Dubrovnik. Did you like it from the beginning? What was your favourite thing here in Dubrovnik? I adored my stay in Dubrovnik. I was there with my parents and my boyfriend, who was there for the first time. Our favourite thing to do while in Dubrovnik was to hike every morning from the Old Town all the way up to Bosanka village. It was one of those incredible experiences reaching the top and gazing down on the old city from above. Another favourite activity was grabbing a morning coffee in Gradska Kavana – they have this amazing almond cake that my family and I could not get enough of. Do you have your favourite spot for pictures? One of my favourite spots for photography is Trg Luža – the trick is to arrive there exactly as the sun is rising to get the best light and avoid the crowds. The light stone colours photograph incredibly well and this place is such an iconic and recognizable part of the city. Another favourite spot for photography is the view of the old city from the village of Bosanka. It has this bird’s eye view of the sea, walls of the city, and the island of Lokrum. Do you have your favourite food and drink place? A favourite food place is the restaurant Nautika – they have an incredibly fresh and delicious selection. Another place is Gradska Kavana for their selection of cakes and coffee; as I already mentioned, their almond cake is one of a kind. What kind of style suits Dubrovnik? I love bringing easy pieces to wear in Dubrovnik; loads of flat shoes, flowing dresses, hats, and sunglasses. Dubrovnik is a unique place in the sense that it is both luxurious and laid back – the pieces you bring with you should be every day (wearable) luxury. What did you think about the style of the people that you’ve seen around? Who is more stylish, boys or girls? I love the style of the locals in Dubrovnik – both men and women are always polished and well put together. I noticed that women really make an effort to dress up in the evening, which I love seeing. If I had to pick one gender who would win an award in the style battle of the sexes, I would choose the ladies. I have just returned from Aspen, Colorado back home to NYC. I believe my next destination will be somewhere warm – perhaps Miami or St. Barts. I never really know until the last minute; most of my trips are scheduled a week before we fly and I never really know where I am going next. Keeping things spontaneous is what makes travelling (and life) fun.